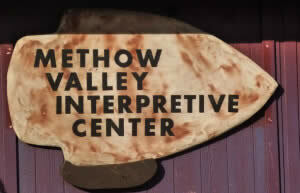 The Methow Valley Interpretive Center’s mission is to create, fund and operate an interpretive center that recognizes the inhabitants of the Methow Valley prior to European colonization. 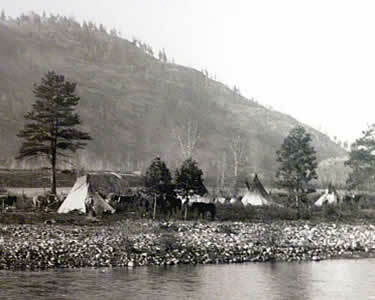 The center offers displays related to the original Native American inhabitants of the Methow Valley, as well as the geology and natural history of the Methow Valley. Friday, 12 p.m. – 4 p.m. The Methow Valley Interpretive Center hosts many informative and fun events and presentations throughout the year, from March through October. Our monthly Last Sunday presentations are held on the Sunday of each month with different speakers and presentations. Please visit our Facebook page and/or our website www.methowvalleyinterpretivecenter.com for details and updates on events. Resident of the Methow Valley for 38 years. Retired public school teacher. Originated the “Altrnative Learning Experience” in 1997, to help homeschool families continue to educate their children at home yet still be a part of the Methow Valley School District, creating increased funding for both the schools and support for the families. Founder and Executive Director of the COVE, established in 1998. This is a charitable non-profit that has expanded into several projects, including the Methow Valley Food bank, the Aid and Assistance fund, the Guardian Angels and Jamie’s Place (two adult family homes). Recipient of “Keeper of The Place” award given for distinguished service to the community. He has personally been involved in the building and remodel of several homes in the Methow. George is a biochemist who studied pharmacognosy at University of Maryland School of Pharmacy. He was a botanist, ecologist and mapping specialist for the Forest Service, Pacific Biodiversity Institute. George teaches Botany and Ethnobotany at Wenatchee Valley College. He works with Conservation Northwest on forestry issues, wildland fires and connecting wildlife habitats. Bruce is a local sculptor and teaching artist who has lived in the Methow since 1975. He is a founding member of the Confluence Gallery. Lead organizer of the Twisp Commons Park and Lecturer of the Twisp Valley Grange #472. Bruce was active in forest issues and timber planning from 1990 to 2000 and has enjoyed exploring the Methow Valley backcountry since 1974. Rob has lived in the valley for twenty years. For the past decade, he has been operating Methow Natives, a native plant nursery focusing on container grown plants native to the Methow Valley. Methow Natives has been active in the salmon recovery efforts in the Methow for the past 8 years as well as working with numerous local landowners on restoration on private lands. Rob is an enthusiastic educator, heading up the Watershed Watchers program and River Camp. Crystal works for Colville Confederated Tribes and in the MVIC office. Her family still lives on one of the original native allotments in the Methow Valley. Carolyn joined the board in 2013. She has worked for many years to make the Twisp Pow Wow a success. She is a massage therapist. Rich has a diverse background in archaeology, ethics display construction and taxidermy. Rich is an active participant in several archaeology projects in the southwest. Joey joined us in 2016 when he brought our first exhibit on morel mushrooms. Carolyn moved to the Methow Valley in 1986. She was part of the original board of Cascadia; the Methow Music Association where she was closely involved in a sweeping change in the arts that took place locally in the early 1990’s, helping put into place valley wide collaboration (arts calendar, monthly meetings with non-profit board chairs for dialogue)in order to create an atmosphere where the arts would flourish. David LaFever is both a conservation biologist and an educator with over 10 years experience in both arenas. He currently works as a Senior Biologist in the Environmental Consulting world and as an educator in the Methow Valley. His passions are exploring wild places, inspiring others through experiential education, and his family.